Ive looked around and can't figure something out...how much is the corsair supposed to weigh using the c pack motor. 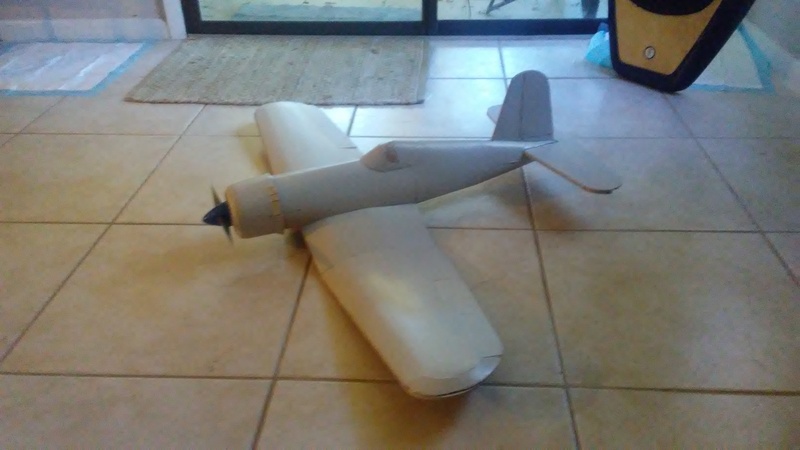 Just curious because I like speed, and will add a larger motor setup and want to know what the baseline weight is, and if I have room to add some reinforcement weight on certain areas. 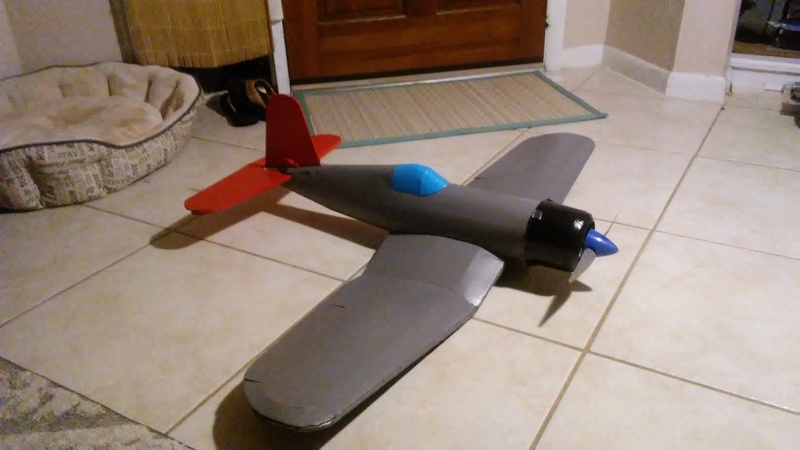 I will check the weight of my Corsair, but for the size it as a very light plane. It also isn't very fast. Actually the Corsair is more a floater than a speeder, if you know what I mean. 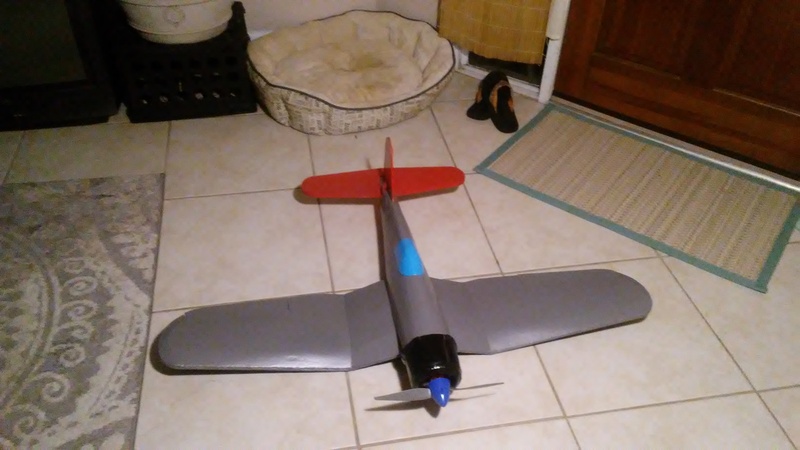 It makes it a very relaxing flying experience, and I am sure this was the main intention when the designers increased the wingspan by 25% compared to the real F-4U. I like mine as it is and I wouldn't add any weight. The only part I need to reinforce is the rudder. At the moment it is really wobbly, because I managed to cut the barbecue stick too short. It's only stuck in the top outer layer of the fuselage, where it should be stuck into something at the bottom (or a former) as well. Not sure how to solve this one now without ripping it off and building a new vertical stabilizer with a longer barbecue stick. 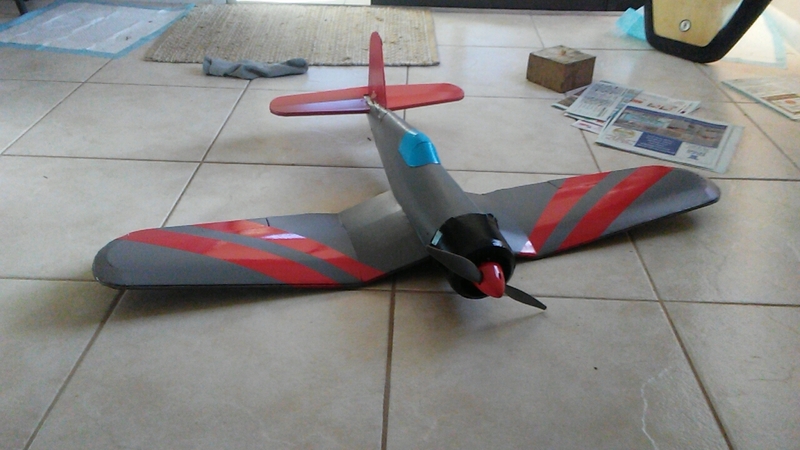 Ok so I am having a MAJOR issue with the corsair kit...I HAVE NO IDEA HOW I WANT TO PAINT IT! I've put a light coat of primer, and am now at a loss. 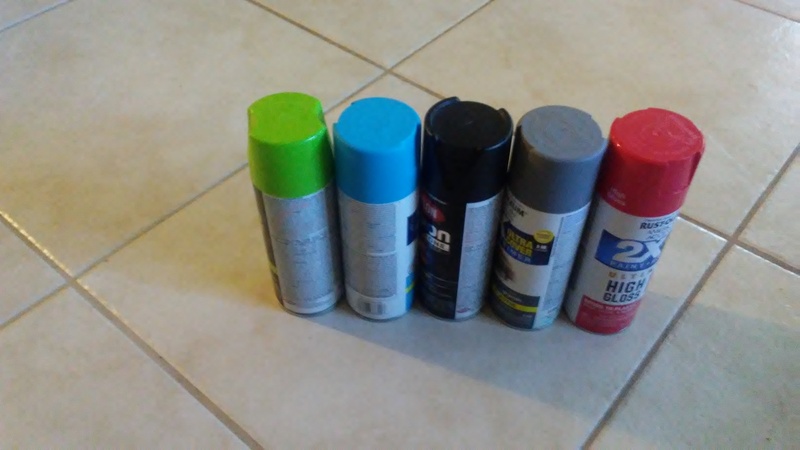 Anybody have suggestions, based on the limited spray paint I have. Well...this happened. A little red on the wings somehow, and instead of a blue spinner, a red one. Then I think it will look ok. 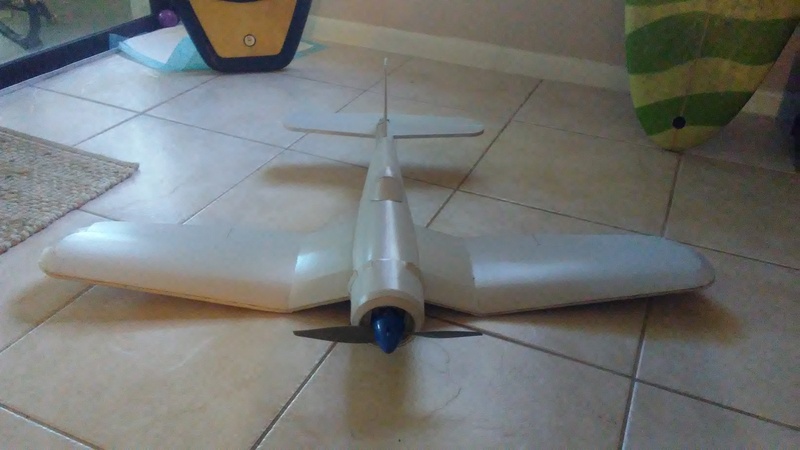 The whole wing is black underneath for orientation, along with the bottom of the tail. Maybe some numbers, and sponser stickers she could look like A Reno race plane. And its finished, I don't know how I feel about the paint, just used what I had laying around and, this is what I came up with.